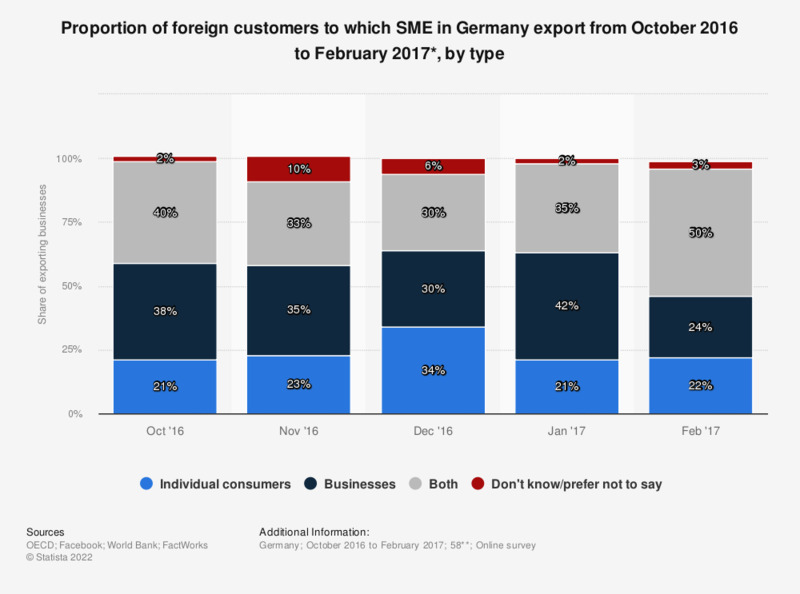 This statistic shows the type of customers to which the small and medium enterprises (SMEs) in Germany export from October 2016 to February 2017. From the responding SMEs exporting in February 2017, 22 percent stated that they exported to individual customers only while 24 percent exported to businesses. * Source question: And do you export to…?